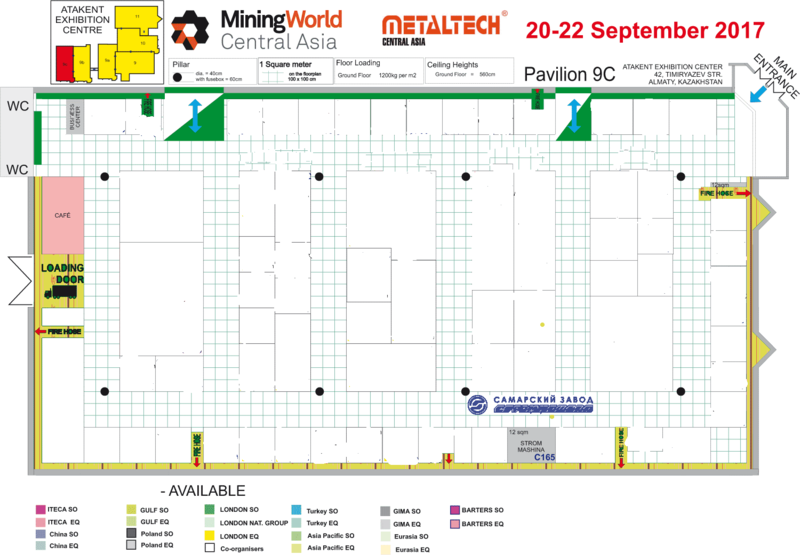 The largest industry exhibitions the 23rd Central Asian International Mining Exploration & Mining Equipment Exhibition will take place from September 20 through 22. 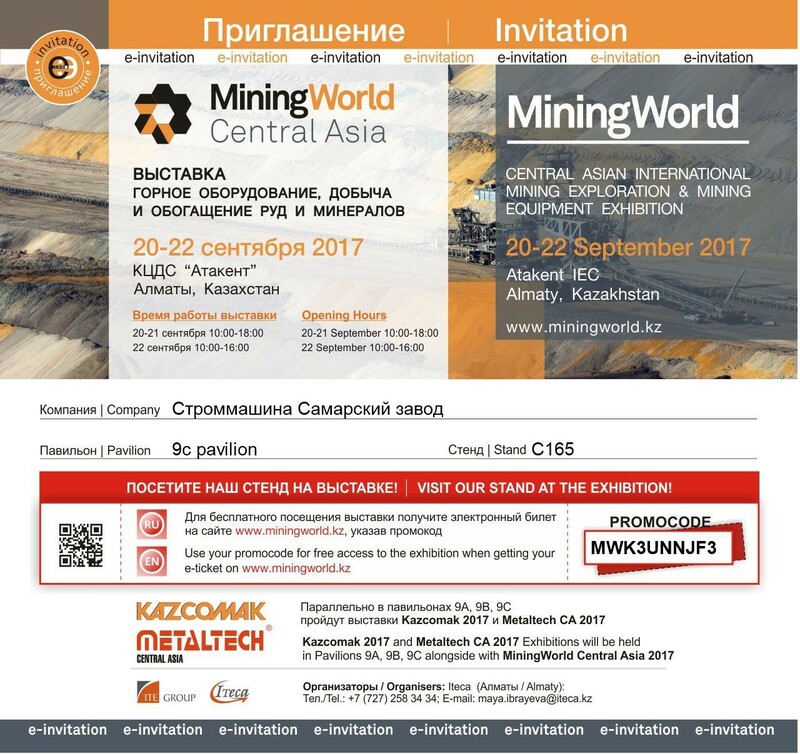 MiningWorld Central Asia 2017 is the largest and most respected in Kazakhstan and Central Asia international exhibition of mining and metallurgic complex combining leading manufacturers and specialists and providing a full complex of technologies and services for mining and processing complex. 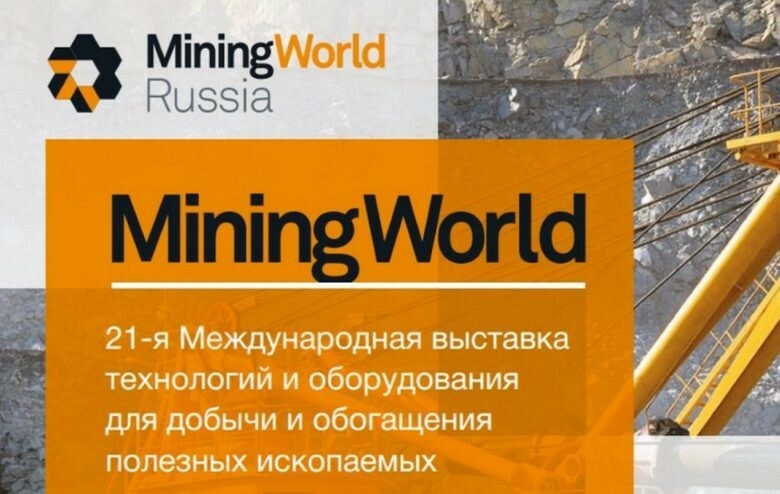 Over the span of three days, the exhibitions will present innovative lines in three sectors: mining & minerals, road & industrial construction and metalworking. International and local companies will demonstrate new technologies and equipment and share their experience with exhibitors and visitors. The exhibition will bring together over 280 companies and 350 brands from 26 countries representing services and equipment for the mining and metallurgical complex, utilities and road construction. National stands include expositions of Australia, Germany, China, Norway, Turkey and Finland. 50 units of special equipment from 10 countries will be demonstrated in the open area. Our plant will present equipment for grinding and drying of ore and non-metallic minerals, dust and gas treatment systems, transporting equipment and other types of process equipment used in the mining, metallurgical and road industries. We also provide engineering and maintenance services, such as development of technical concept of the project, preliminary commercial evaluation of the project, design works, installation supervision (technical and designer supervision), maintenance and repair of equipment, delivery of spare parts on an agreed schedule, technical audit of equipment. Samara Plant Strommashina actively develops new types of mining and processing products: tangential hammer mills with a capacity of up to 60 tons per hour, roller mills, rotary drum mixers and pelletizing drums, lime milk production lines, as well as ball mills, kilns and drying drums of up to 4 m in diameter. Our plant's specialists will attend the exhibition and will be happy to consult you on our equipment. We look forward to meeting you in Pavilion 9c, Stand C 165.